Photographers Are Always Doing Yoga Without Realizing. 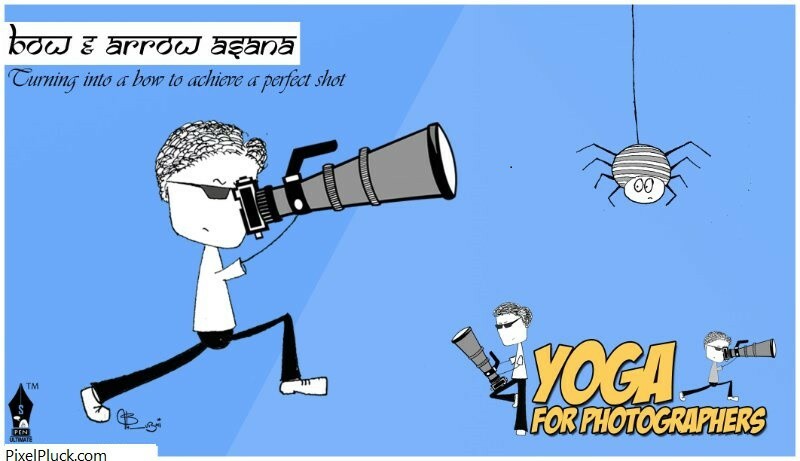 Photographers are Yogic. They are always doing yoga even without realizing it. Almost in all the stances yoga is involved and this might very well explain the ultimate stability, concentration and creativity attained by photographers as they get experienced in the field. More experienced photographers are great yogi. They command great control over their body. Their camera becomes a part of their body. They have excellent hand eye coordination. 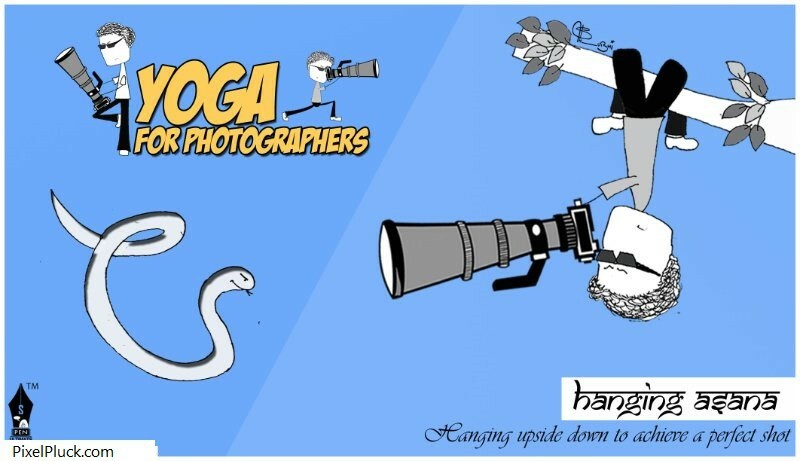 To celebrate International day for Yoga here is something which we found on internet dedicated to all the (yogic) photographers across the world. Yoga is excellent for health. It helps you to have command over your mind and body. When you have command over mind and body you are going to perform better. It relaxes your mind and helps you to think and concentrate better. It makes you more creative and brings in positive energy thus helping to boost creativity. 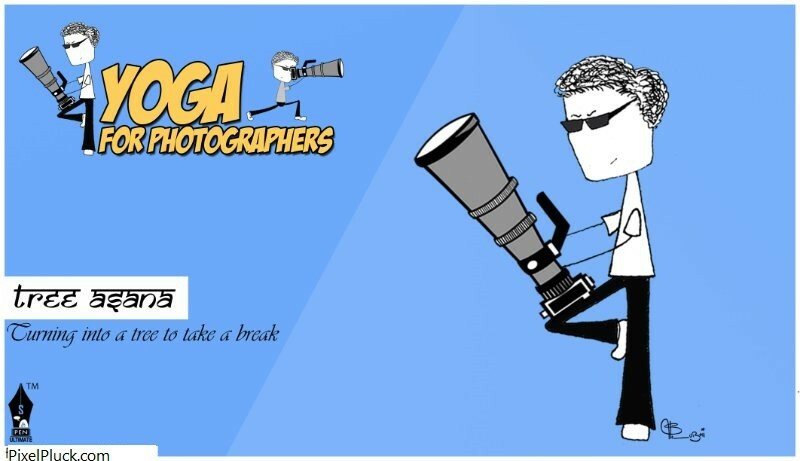 It is a great tool for every photographer and with time they unknowingly attain command over the art of yoga. It also helps to relax your muscles which may get tired after a long day of shoot. Meditating may help you to think and concentrate better. It increases flexibility and decreases muscle stiffness. There are many more advantages of doing yoga. 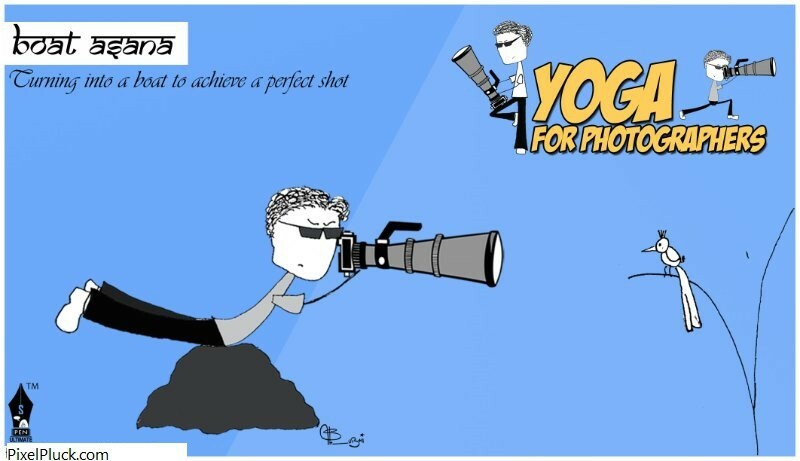 On a lighter note here is a fun take on the Yogic Photographers. There are different Asana (Postures) involved in Yoga. Some of then are mentioned below. Hanging Asana – Hanging upside down to achieve a perfect shot. Bow & Arrow Asana– Turning into a bow to achieve a perfect shot. Boat Asana– Turning into a boat to achieve a perfect shot. Tree Asana– Turning into a tree to take a break. So next time when you are out shooting landscapes or on street shooting portraits, remember that you are always doing Yoga. Even learning to control your breathing will help you get better and sharper shots. What do you think about this? 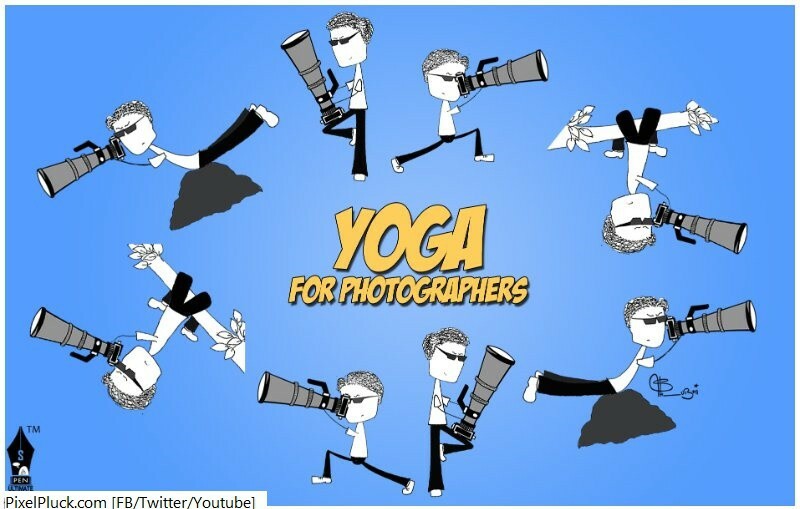 Let us know in comments below about Photographers are always doing Yoga without realizing.